One programmable position comes with basic version of this chair. Working positions range from 390-755 mm ± 10 mm. Chair integrated power unit. Chair Blocking in case of collision and instrument withdrawal. 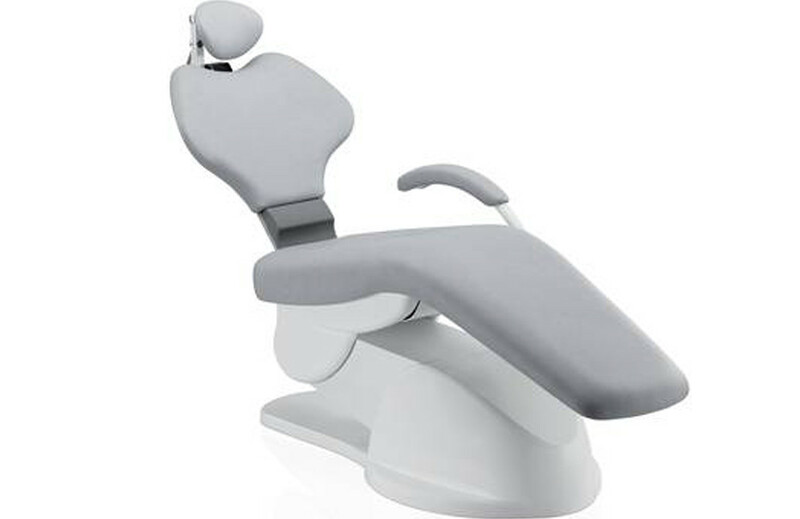 Stainless steel headrest with 2D movement or a 3D ball joint enabling 3-axis positioning (optional). 2 types of back-rest: narrow and wide. The DE20P version of this chair can be equipped with programming. Five programmable positions for two users are available in the classic line units and six programmable positions for four users are available in the comfort and premium line units.